More than 400 people aired their views on plans for the A27 from Lewes to Polegate in a Department for Transport consultation. The proposals, which have seen opposition from local campaigners, would see a £450 million investment for a 10.5-mile dual carriageway between the Southerham Roundabout in Lewes and Polegate. The Department for Transport consulted on its second Road Investment Strategy (RIS2) from December 2017 to February 2018. Of 3,153 responses to the strategy for England’s A-roads, 401 were received from a campaign to improve the A27 between Lewes and Polegate. 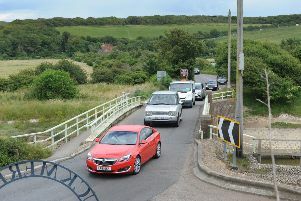 The report added that many of these responses also ‘sought dualling of the A259 and A21 routes to Hastings’. The principal reasons cited were to tackle congestion, improve safety and boost the economy. There was also concern that the current problems encountered by users will worsen with planned developments increasing demand, and that these routes had suffered from under-investment in the past. The Initial Report set out Highways England’s proposals for priorities of the Strategic Road Network (SRN) from April 1 2020 to March 31 2025.